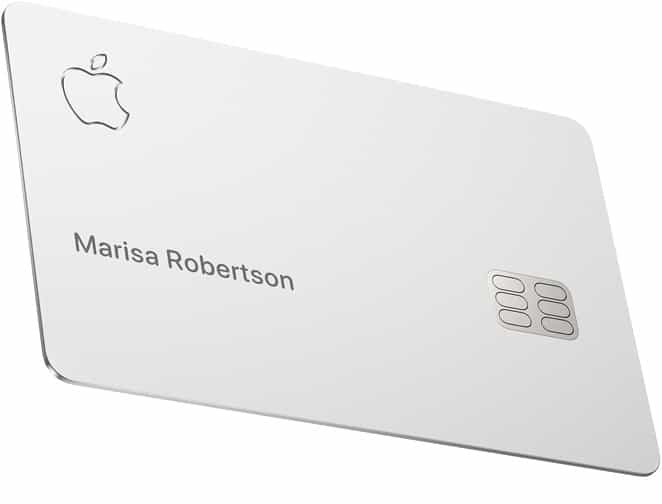 Apple has launched a credit card to link with Apple Pay. Apple Card, which works within the Apple Pay app, will also be available as a physical card when it launches in the US in the summer. The company says the card offers “a new level of privacy and security”, as well as transforming “the entire credit card experience by simplifying the application process, eliminating fees and encouraging customers to pay less interest”. Apple Card is built directly into the Apple Wallet app on iPhones thus giving Apple Pay users a familiar experience. Users will be able to apply for a card from within the app and use the virtual version straight away. An optional, physical, titanium card is also available for locations where Apple Pay cannot be used. The physical card shows only the cardholder’s name and the Apple logo since the card number, expiry date, CVV and signature are stored within the card itself. Security features include a unique card number which is created on the iPhone for Apple Card and stored safely in the device’s secure element. Every purchase is secure since it is authorised by the cardholder with the Face ID or Touch ID biometric built into their phone along with a unique one-time dynamic security code. Apple also highlighted the user privacy aspect of the card saying that the unique security and privacy architecture created for Apple Card means that the company won’t know where a cardholder has shopped, what they’ve bought or how much they’ve paid. The iPhone maker has partnered with Goldman Sachs for the digital-first card with payments processed by Mastercard. “Apple Card is designed to help customers lead a healthier financial life, which starts with a better understanding of their spending so they can make smarter choices with their money, transparency to help them understand how much it will cost if they want to pay over time and ways to help them pay down their balance,” says Apple Pay vice president Jennifer Bailey. Cardholders can review transactions in real time within the app; the combination of machine learning and Apple Maps means that transactions are clearly labelled with the name of each merchant and their location. Purchases are automatically totalled and organised by colour-coded categories such as food and drink, shopping and entertainment. To help customers better understand their spending, Apple Card provides weekly and monthly spending summaries. They also earn 2% cashback on each day’s purchases rising to a 3% reward for buying direct from Apple. This drops to 1% if the physical card is used. Apple has said that the interest rate will be “among the lowest in the industry” and that cardholders will not be charged annual, late, international or over-the-limit fees.